Let your search for a real estate professional end here. Please explore the resources within my website, you will find everything you need to buy or sell a home as well as learn about the market value of homes. You can search for homes with detailed descriptions, photos, community and school information and so much more. Click Here for full listing information. 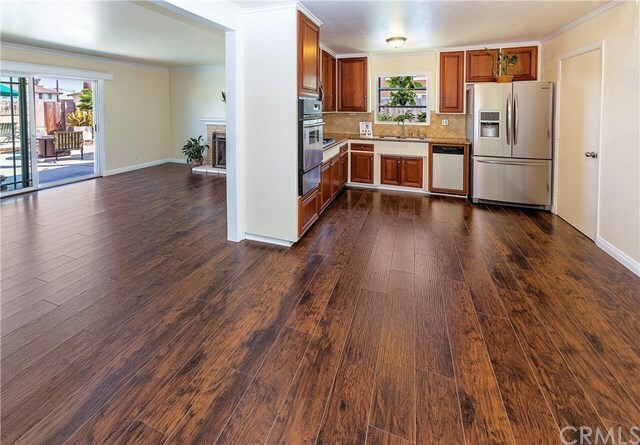 Completely Refurbished 3-Bedroom 1 3/4-Bath Beauty in the "Best area (Valley View and Chapman)". New master bath shower, New laminate wood flooring, New insulated garage door w/quiet glide and access into the home, New receptacles, light switches, LED ceiling fixtures and New Whirlpool microwave hood combination in the totally upgraded Kitchen. Don't forget the Central Heating and Air Conditioning, Tank-less hot water heater, Fresh paint, inside and out, Fireplace and lots of Crown moldings and baseboards. Enjoy the Awesome Pool with the New Pentair pool pump system. Oh yes, almost forgot the dual pane windows and THREE sliding glass doors that go the the 'Resort' backyard. There is also room to park your RV/Boat. No need to go to a resort, It's all in the back yard! Walk to Eastgate Park, Library, Shopping Center and Church. Must see this beauty as it won't last long being located next to Seal Beach, Los Alamitos and Cypress. Call today for a private showing. PRICE ADJUSTED - Great opportunity for a small business. This remodeled unit is located in a nice quiet location (E/Garfield S/Somerset). There are two separate rooms on each side of the entry area. All utilities are paid for by the owner. There is a 1/2 bath in the office and parking in the back. Call agent Gary for special details and to make an appointment to view.